There are very few icons as timeless as Grace Kelly. Her sophisticated style has been used in everything from fashion to flowers for decades. Her wedding photo from 1956 pretty much says it all. Today, brides try to emulate this same elegance and sophistication, right down to the bouquet Grace carried. This simple, white clutch was all lily of the valley. It’s a small, dainty flower that blooms from about May to June, but can be ordered from world-wide growers all throughout the year. The sweet smelling, bell-shaped flowers are staggered on each stem. The stems measure about 4-6 inches in height. You may have seen it growing in your neighbor’s yard or in the park. 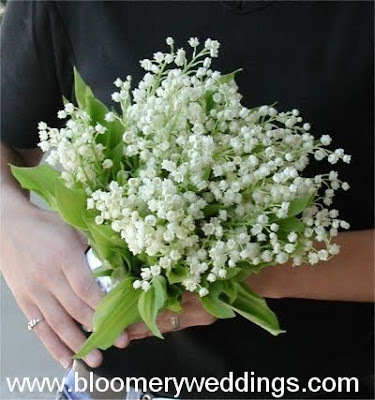 This handful of lily of the valley is approximately 50 stems and maybe 6-8 inches in diameter. This small bunch would retail for about $775- 850 in our market. 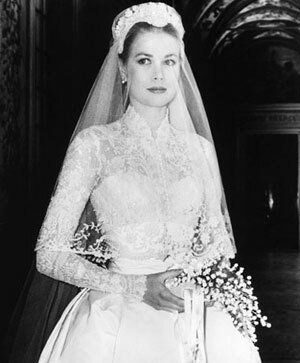 It would take roughly 50% more stems to make Grace Kelly’s bridal clutch and 3-4 times as many stems to replicate the size of Elizabeth Hurley or Carolyn Bessette Kennedy’s bouquets. 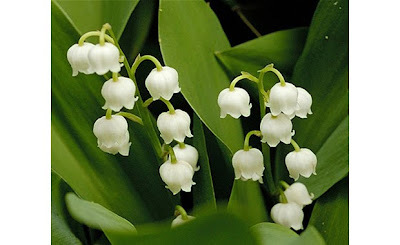 Knowing these stats, take a look at the following examples of lily of the valley clutches. Try to invision how many $700 handfuls it would take to construct these bouquets. 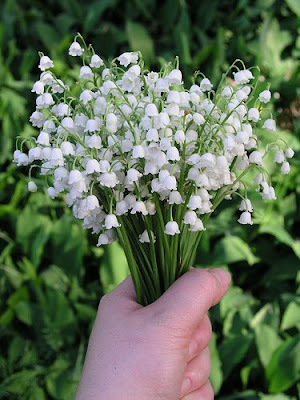 After this exercise of “Let’s Do the Math” you can see that a substantial amount of stems are needed to craft even a medium-sized clutch of lily of the valley. Therefore, in most respects, a substantial price tag goes with it. We do have brides that use this bloom as simply an accent in their bouquets if they love it and want it or if it is sentimental to them. This can cut the cost considerably. 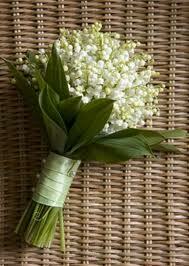 Another popular option is to use silk lily of the valley as an accent with other fresh cut flowers. The silk is very realistic and most people who see the bouquet would assume the silk is fresh because the other flowers in the bouquet are fresh. It’s an option to consider.